Eighteen months ago I was commentating at a cycle race – when I had the privilege to interview a rising star named Charlie Craig. His whole presence would leave a lasting mark on me as he appeared so special. Two weeks later, he would go on to win the silver medal at the National Schoolboy Cyclo-Cross Championships in Bradford. While just six days later and whilst commentating at another race in Alcester, I would be given the tragic news that he had gone to bed on the Friday night (it was now Sunday) and had never woken up again. If the news wasn’t bad enough, then it would seek to remind me of my late brother Barrie Elson, who went out training one night in 1967 and never returned. He was just sixteen. 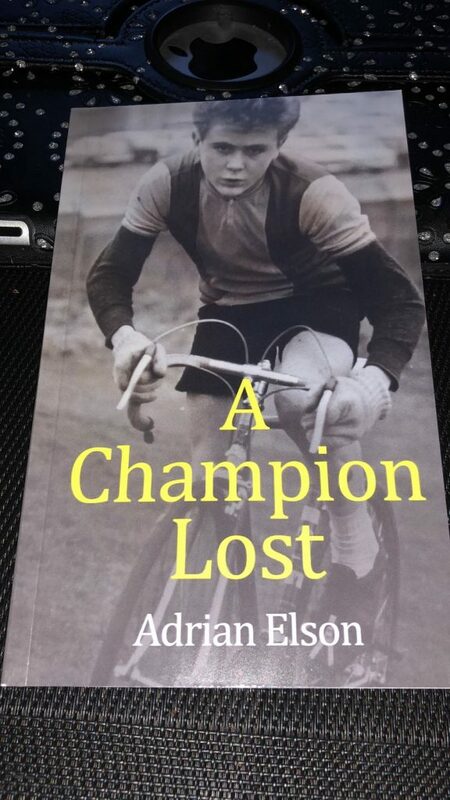 Just like Charlie – Barrie was destined for the very top and using all his diaries and race logs along with the numerous newspaper headlines I sought to piece together his career in the book I have written ‘A Champion Lost’. It is available to buy online at www.lulu.com with ALL the profits going to CRY.